Godfrey Conveyor Company for SW20 - 22 models. Printed with Silver Metallic Inks. 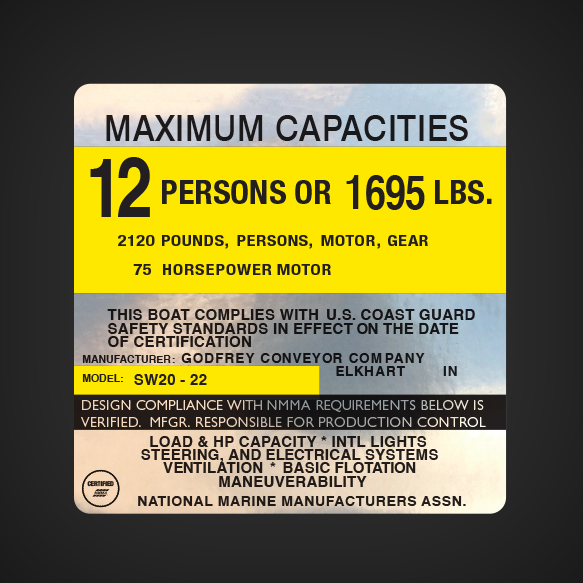 12 PERSONS OR 1695 LBS. (CERITFIED NMMA ROUND LOGO) NATIONAL MARINE MANUFACTURERS ASSN.